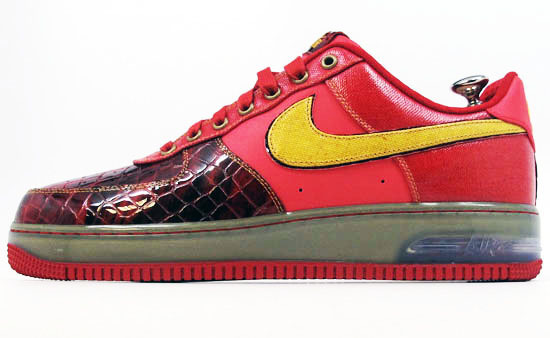 During what could be one of the most epic Bespoke sessions ever, a lone man was able to design 10 Nike Air Force 1s. Many Bespoke customers remark that fitting all of the attractive available options on to a lone shoe is the most difficult part of the process. To counteract that problem, “FLOSS” just went and ordered ten different shoes. Materials range from kevlar to patent leather, suede to elephant print and so forth. How much did he have to drop on all of these… insane. 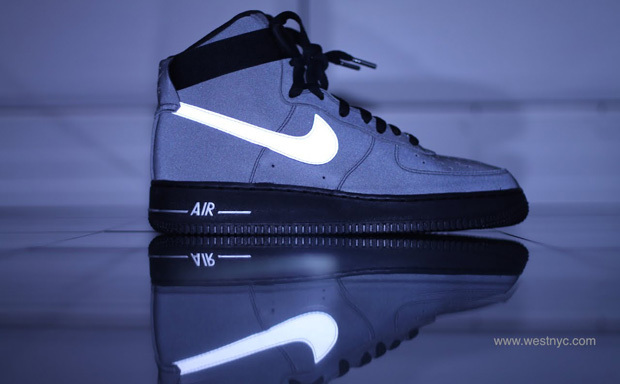 This is the “3M Reflective” Nike Air Force 1 Hi and its starting to show up at select retailers including West NYC. This pair is simply constructed with an all-3M Reflective upper. 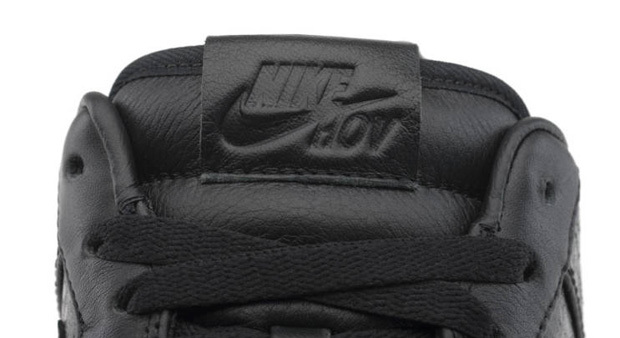 The swoosh and sole branding obviously have a super reflective tint and is best demonstrated as night time.